The Taiwanese Foreign Ministry has published a detailed list of instances China has blocked Taiwan’s efforts in the international arena. The list clearly shows the extent to which Beijing is trying to hem in Taiwan diplomatically, for instance by blocking the country’s participation in meetings of certain UN agencies. 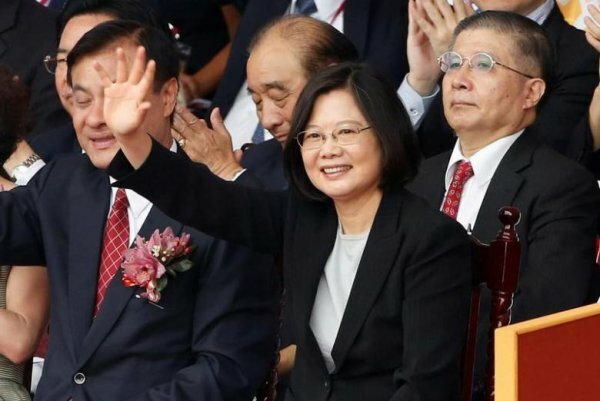 It is particular after new president Tsai Ing-wen took office in May 2016 that China has been taken every opportunity to stymie Taiwan’s ability to participate in international affairs. Taiwan is updating its foreign ministry website listing the times it says China blocked its international space, a move endorsed by the island's independence-leaning ruling party on Thursday. The list, last in use when the ruling Democratic Progressive Party (DPP) was last in power from 2000-2008, comes after official communication channels between Taiwan and China ceased with Taiwan President and DPP leader Tsai Ing-wen taking office in May . China says Taiwan is part of "one China", ruled by Beijing. It regards the island as a renegade province, ineligible for state to state relations, to be united by force if necessary. "I don't know the details of the updates," Chinese Foreign Ministry spokesman Geng Shuang said on Wednesday [23 November 2016] in Beijing when asked about the website. "On 'Taiwan's international space' issue, we have always stressed the 'one China' principle and its handling. This is also the general consensus in the international community." Taiwan has only a handful of allies in the world, including the Vatican. In March, China resumed ties with the small West African state of Gambia, one of only a few African countries, along with Burkina Faso, Swaziland and São Tomé and Príncipe, to recognize Taiwan. China's actions "will only increase a negative perception" of China by Taiwan and "adversely affects the long-term relationship" of both sides, DPP spokeswoman Chiu Li-li said in statement. The list includes working-level international meetings Taiwan delegations were barred from attending, sometimes due to their Taiwan passports, the ministry said. It also includes a snub by a UN aviation agency from inviting Taiwan to a meeting in September. Taiwan is not a member of the United Nations, which recognizes China. The most recent incident on the list involves the title of former Taiwan president Ma Ying-jeou in the handbook of an international conference he attended in Malaysia last week. His title was changed to "former leader" from "former president", according to the ministry. Beijing distrusts the DPP because it traditionally advocates independence for Taiwan, which has been self-ruled since Chiang Kai-shek's defeated Nationalists fled to Taiwan in 1949 after losing the Chinese civil war with Mao Zedong's Communists.